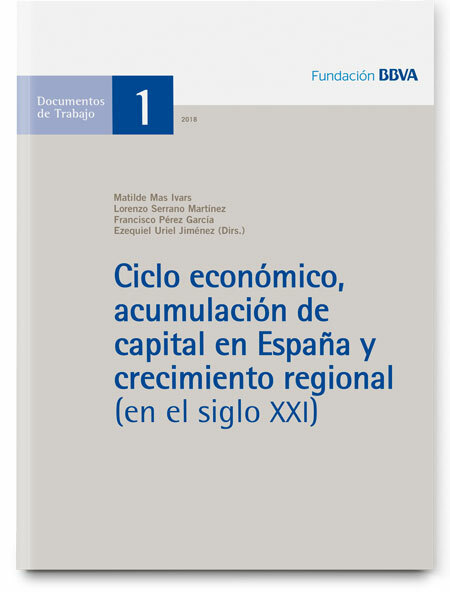 This document presents the main results of the latest estimates —relating to investment and capital stock— for the Spanish economy, developed jointly by Ivie and the BBVA Foundation. The data cover the period 1964-2015 using the most up-to-date methodology proposed by the OECD, and with a broad breakdown by assets (including R&D), sectors, regions and provinces. The richness of the database enables the characteristics of capitalization to be studied from multiple angles, making these estimates a basic tool for the study of the sources of growth in Spain. The paper analyzes the evolution of investment and capital stock trajectories since 1995, i.e., covering the last complete cycle of the Spanish economy from the expansion period beginning in the mid‑1990s to the end of the recent crisis. In addition, it examines the contribution of capital accumulation to the growth of Spain’s autonomous communities during the 21st century.